Search by location or development name and find your new homes by Barratt London today. Looking in elsewhere? Look at our other developments. Barratt London is a division of Barratt Developments, and is the market-leading residential developer in London. The housebuilder designs and builds large, complex residential developments which are built with the customers and stakeholders in mind, as well as being tailored to the needs of the local boroughs and communities. Its portfolio is diverse, with homes available to suit all Londoners, from contemporary apartments and penthouses, to riverside communities and mixed use regeneration schemes all around the capital. The company offers the government-backed Help to Buy London scheme on selected developments. This scheme works in a similar way to the national scheme with a 5% deposit and an equity loan on a property worth up to £600,000, but the loan provided is 40% of the property price, which takes into account the higher property prices in the capital. 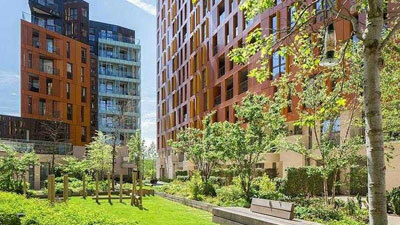 In 2017 it was awarded Silver in the Best Exterior Design category for its Lombard Wharf development. Choose a Barratt London development in this area.